Lithium-ion batteries are widely used in home electronics and are now being used to power electric vehicles and store energy for the power grid. 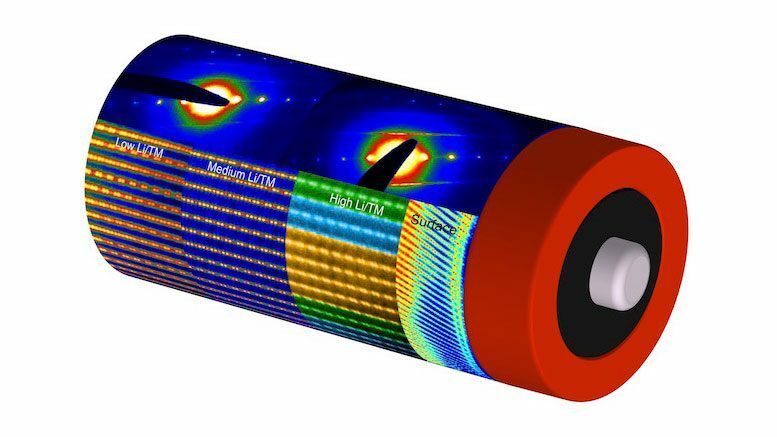 But their limited number of recharge cycles and tendency to degrade in capacity over their lifetime have spurred a great deal of research into improving the technology. Be the first to comment on "Mapping Lithium-Ion Battery Electrode Structure at the Atomic Level"